20th June 2011: Meeting with the Management of laundry, Cllr Hook, Mr Beck (resident) and myself. Subject: nocturnal noise from lorries. Having found a rogue vehicle that emitted unwanted alarms and having fixed it, the number of complaints for the last week have dropped drastically. We requested the return to the Bird Chirp in place of the current Beepers ~ as previously agreed with former Owners. Mr Jamieson (Manager) is to look into costing of this, but pointed out that the Beepers should automatically be inhibited when the vehicle lights are on, i.e. night time. The noise level and occurence is to be monitored over the next 4-6 weeks and reported back to the laundry. The next scheduled meeting is in 3 months time. Cllr Gordon Hooks efforts over the last couple of months have paid off at last. Today the crane moved in, the chimney cleaned and painted. Photographs are available in the new Post today. FOLLOWING ON FROM CONTACT BETWEEN CLLR. GORDON HOOK AND PAUL PEARSON THIS WEEK, WE HAVE BEEN ADVISED THAT THE LAUNDRY CONTRACTORS “WILL BE WORKING ON THE SITE ON 6TH AND 7TH SEPTEMBER, WEATHER PERMITTING”. Contacts have been maintained between myself, Cllr Gordon Hook and Paul Pearson (Manager, Sunlight Laundry). The management have promised that the final stage of the painting, i.e. chimney stack, will be completed this summer. THE END IS NIGH !!! see latest post, top right of page. 29Aug2008: Cllr. Hook and myself met with Directors of the laundry today, as agreed at the Public Meeting, and submitted the residents choice of colours. They are to advise us later on a commencement date for painting. The new management are under no obligation to modify the colour of their premises, but are seeking to do so in order that a ‘fresh start’ may be made – with harmonious relations between them and their neighbours (we residents). So hopefully we can look forward to “peace breaking out in our time”. For full details of the Minutes of the Public Meeting held on 13th August 2008 please click the title 13th August Minutes of Meeting of Residents (paintwork) on the right hand column on this page. 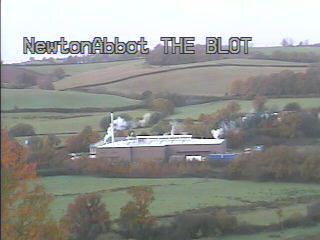 The “blot on the landscape”is a site dedicated to highlightingthe defacing of a beautiful country area by industry in Newton Abbot, Devon. Cllr. Hook today had a meeting with Directors of the laundry, the main topic being to ascertain as to whether they had decided to paint the discussed elevations of the building which bring most controversy to the matter. Cllr. Hook has arranged a meeting with the Leader of Devon County Council to discuss whether he can obtain financing from them for the above. Teignbridge Council have refused outright to assist us – albeit their shortcomings, inefficiency and incompetence that got us into this mess originally. More details will be published as and when they occur. If you wish to express your own views, please send them to me (Les Edgecumbe) and I will post them on the website. Discussion between Councillor Hook, Sunlight/CLS Management and Teignbridge Council to find a way to minimise the visual impact of The Blot. Following total and outright rejection of the Council making a contribution toward any cost of painting The Blot, Councillor Hook is to have a further meeting with the Management on various issues. It is reported that despite Cllr Hooks’ strenuous efforts in making our case to the Executive Councillors, his requests for assistance to bring this matter to a final close were rejected to a man/woman. With exception of Cllr Corney-Walker, not one vote was in our favour. This raises the old chestnut as to just what these Councillors do between elections to justify their position. A golden opportunity has been now missed to conclude this matter – and make savings on the ongoing Council Officers hours involved with the doubtless ongoing complaints that will continue. Full details of communications associated with the above are to be found on this website. Please find time to email or write to your Councillor. Council Leader, and the Chf Executive to record your disappointment in their in inability to achieve closure in a sensible manner for us. Remember that this is your website and is open to all of your comments …..
A meeting was held between Aller Park residentsand the Management of the now infamous CLS laundry. It was arranged and chaired by Councillor Gordon Hook. The laundry team consisted of the General Manager and 2 National Directors. The residents were represented by a number of 20 – several more had to be put off due to space restrictions at the venue. The meeting consisted of some very straight talking, but in a constructive atmosphere. Residents left the management in no doubt as to how their premises were seen and in what low regard. They were also given a thorough review of the history of our campaign – as they (CLS) claim to be totally unfamiliar with this following their take over from the previous owners. This illustrated how incompetence and injustice to us, had been meted out by an ‘un-listening’ Teignbridge District Council, and why we were in this impasse to date. Detailed description of annoying noise sources – PA systems, cargo handling, steam emissions etc. 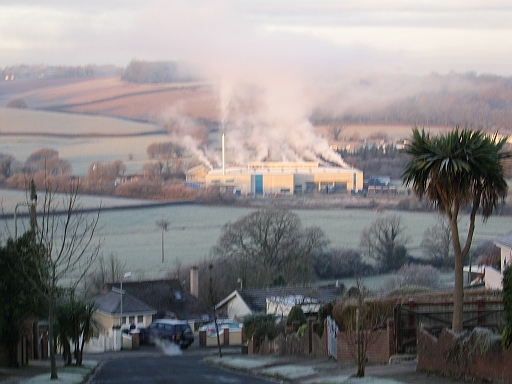 Lines of communication were opened between the company and residents – hoping to minimise what we see as unnecessary intrusions into our environment – a totally alien visual concept of the premises intruding into every minute of our day; steam noises, transport noises, uncontrolled floodlighting and other aggravating factors causing loss of sleep and the general inability to relax in ones own home. Also the detrimental effect on our property values due to this industrial project. For their part the Directors took on-board, and hopefully respected, our legitimate complaints and were reporting back to their full Board with suggestions and investigations on how to resolve the problems. They hope to report back to us circa March, when another meeting will be planned. It would be most beneficial if the attendees at yesterdays meeting could be available for any subsequent meeting. This avoids going over ‘old ground’ again. Of course any other residents would be invited. Until then we shall monitor the situation as before, but hopefully with some positive vibes for the future. Remember that this is your website and is open to all your comments ….. IMPORTANT LETTER TO ALL LOCAL RESIDENTS RE. SUNLIGHT LAUNDRY. (CLS)Some of you will be aware that I have been holding meetings with the Directors of the Laundry. The most recent of these, last week, was also attended by Mr. Les Edgecumbe of Aller Park Road whom I have tried to keep informed of developments throughout this process and to whom I am particularly grateful for his help and support. I have been striving to get agreement on a package of measures including the painting and therefore camouflaging of the building.I am delighted to report that an agreement has been reached with the Directors, the detail of which we want to share with as many residents as possible at a public meeting on Wednesday 13 August at St. Lukes Church Hall, 7.15.pm. Please do all you can to attend as a number of issues need to be addressed, not least an agreement by residents on a colour scheme for any painting works. This is very much a one off opportunity. Once a decision is arrived at we are lead to believe that some of the work can start ( weather permitting) within a short period of time. However, it is important that community agreement or some form of consensus can be reached so that real progress can be made. Such an opportunity will not come again. Therefore your views and agreemant are very important.In the mean time I am sure that Mr Edgecumbe would be happy to talk to any resident at a mutually convenient time, and as I hope you know I am always available to you regarding this or any other issue.I hope to see as many as can make it on Wednesday 13th August at St. Lukes Hall. 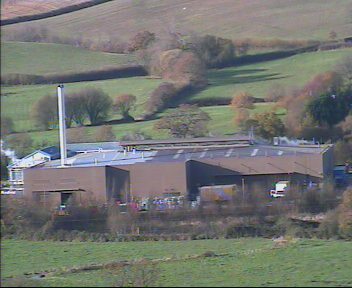 Following protracted negotiations with the Directors of the CLS (Sunlight) Laundry by Councillor G. Hook supported by his colleagues Cllr Corney-Walker and Cllr Leeper, there is at last a possible mutually satifactory end in sight now. However, it does require a consensus of a number of interested and/or affected Residents – as the offer is a ‘One Off’ and cannot be altered later, if a current agreement is reached. Full details will be available at the meeting – so please come along, it wont take long. The meeting is to home in on the prposals to close the problem once and for all – it is not to be ‘historic’, and yet another discussion on who/what was wrong. If you have any preferences on a colour scheme for the laundry bring them along. Below is a circular letter from Cllr Hook, which residents will be soon recieving. Some of you will be aware that I have been holding meetings with the Directors of the Laundry. The most recent of these, last week, was also attended by Mr. Les Edgecumbe of Aller Park Road whom I have tried to keep informed of developments throughout this process and to whom I am particularly grateful for his help and support. I have been striving to get agreement on a package of measures including the painting and therefore camouflaging of the building. I am delighted to report that an agreement has been reached with the Directors, the detail of which we want to share with as many residents as possible at a public meeting on Wednesday 13 August at St. Lukes Church Hall, 7.15.pm. Please do all you can to attend as a number of issues need to be addressed, not least an agreement by residents on a colour scheme for any painting works. This is very much a one off opportunity. Once a decision is arrived at we are lead to believe that some of the work can start ( weather permitting) within a short period of time. However, it is important that community agreement or some form of consensus can be reached so that real progress can be made. Such an opportunity will not come again. Therefore your views and agreemant are very important. In the mean time I am sure that Mr Edgecumbe would be happy to talk to any resident at a mutually convenient time, and as I hope you know I am always available to you regarding this or any other issue. I hope to see as many as can make it on Wednesday 13th August at St. Lukes Hall.